The fifth episode of season two, “On Protests, Abraham Lincoln, and Tupac,” was released Thursday, Dec. 13, and features political scientist Lisa Mueller of Macalester College. In addition to her work at Macalester, Mueller is a regular consultant and principal investigator for USAID and other American government agencies, having recently served as the U.S.-based country expert on an extensive USAID assessment of the African nation of Niger. She is spending the 2018–19 academic year as a residential fellow at Notre Dame’s Institute for Advanced Study. Mueller spoke with host Ted Fox several months after Cambridge University Press published her book Political Protest in Contemporary Africa. Their conversation started with what protests in different parts of the world—including the U.S.—have in common, and what makes protests in sub-Saharan Africa different. They also discussed how social scientists go about studying something as dynamic as a protest and her current project, which aims to answer whether the degree of cohesiveness among the protesters within a movement has any impact on their ultimate effectiveness. You can also listen to the episode with Mueller using the player below. 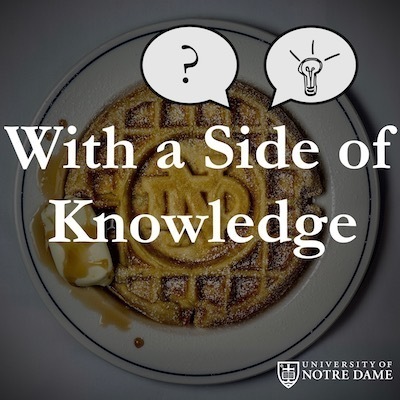 Originally published by Ted Fox at provost.nd.edu on December 13, 2018.